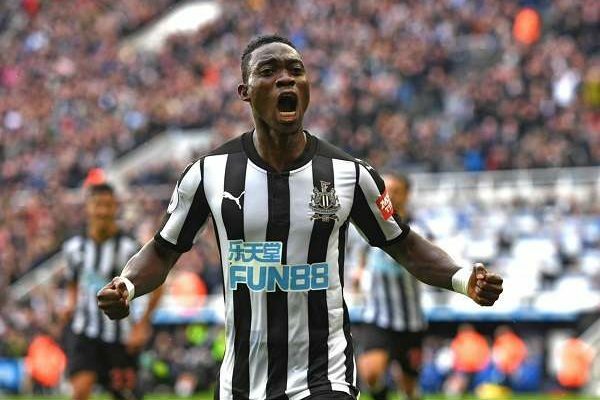 Black Stars winger Christian Atsu featured as Newcastle played out a 1-1 stalemate with Everton at Goodison Park on Wednesday evening. The Ghanaian international who was brought into the side in place of the suspended Matt Ritchie lasted the entire duration. The Magpies hit first in the 19th minute through Salomon Rondon who smashed home after a sweeping counter-attack. Everton responded well and were rewarded for a period of sustained pressure when Richarlison equalised seven minutes before the interval, lifting the ball into the roof of the net from close range. Atsu could have won it at the end, only to be denied by a brilliant save from Jordan Pickford. A point apiece sees Everton move back to sixth while Newcastle remain above Crystal Palace in 14th.